Companies use the Active Directory Domain Services (AD DS) in a server environment to make the work of network users less complicated and ensure resource sharing and management is secure, scalable, and all objects work as per their respective configurations. A well-designed AD DS can be used to manage the entire network infrastructure including the branch office and multiple forest environment. System Administrators should develop a habit of documenting all aspects of the domain structure and security strategies, as this becomes the new plan for future infrastructure and possible migration. When planning for a domain, two things come into play: domain upgrading and domain restructuring. Upgrading your domain is more than just upgrading every domain controller; it involves the upgrading of both the Primary Domain Controller (PDC) and the Backup Domain Controller (BDC). Restructuring involves the creation of a new Active Directory from scratch. Restricting may lead to few but expanded domains. Having a migration strategy in place is an integral part of your overall design plan. Migration strategy involves studying the current or proposed configuration details and identifying which aspects of the domain will be migrated. A fall back system also has to be in place to counter any possible failure. An Active Directory should be flexible in giving you an easy time when designing the forests. Designing a Domain for every department may look desirable in an organization but do not forget the general rule of running fewer but effective domains. An alternative to creating domains for every department is to use the Organizational Units, which are flexible and easy to manage. An Active Directory has four main divisions: the forests, the domain, the sites, and the organizational units. The system Administrators should maximize on the potential of these divisions to get the best out of any directory structure. When creating your domains, it is recommended that you use domain members who are near each other as possible. This is the best practice because the level of traffic within a domain is higher than you would expect between two different domains. Smaller domains also limit the need for investing in expensive connections to increase bandwidth. Remember to use the Organizational units to delegate Administrative privileges within an Active Directory. Use local groups in the domain to control access to resources and group similar user groups. You can also use hidden OU to prevent viewing or altering in an environment where network application services are shared within departments and with external customers. Using Directory sites is an important element for any Active Directory domain. Sites can be limited to any computer object within a forest. Thus, they can be found across domains and organizational units. Sites are used to impose physical network to facilitate traffic flow. Sites also regulate traffic flowing to slower WAN links within the network; this will effectively increase productivity and serve to reduce costs on connectivity. Before the deployment of any Active Directory Services, the logical structure that reflects the working environment should be in place. The AD DS logical structure defines directory objects are organized and a method of managing individual accounts and shared resources. When planning for the logical structure, determine the number of forests, domain designs, the Domain Name System infrastructure, and Organizational Units. The site topology of the Active Directory network is a logical representation of the physical network. It has all the information about the AD DS location sites, the site of Domain Controllers, and the site links that support the AD DS replication taking place between sites. Please note that some features can be added to the Domain design by raising the functional levels of the forests. The strategies presented in this guide apply in any server-operating environment. If you are not sure if your environment can meet the minimum system requirements, consult with other professionals on what needs to be done to deploy the AD DS. 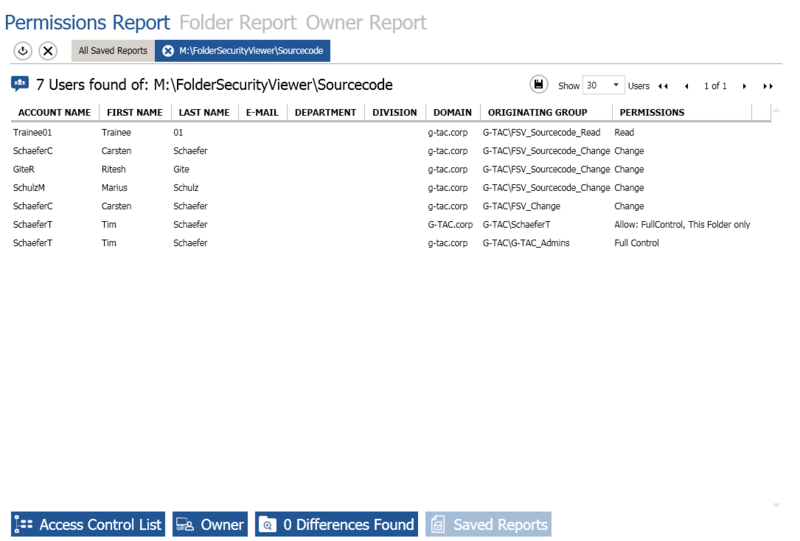 Want to have efficient and accurate reports about NTFS permissions on all your folders on your Windows Server Environment? How hardened is your organization’s file server to protect data from unauthorized access? Every organization running a file server needs to have a way of protecting sensitive information from unauthorized access, especially from outside. The fact that your server may be in a physically secure place does not mean the security configurations within the operating system should be ignored and the system left at the mercy of anyone with an access to the building. The file server being the most visible and central network device with critical information should be secured using some of the approaches this guide proposes. System administrators should use the hacker’s point of view when reviewing security policies to help them find a better approach to server security settings. Securing a file server ensures that the organization enjoys the fill benefits of a server in its opium working condition. Here are some of the steps one needed to enforce server security settings. Instead of using the default Administrators group, another group of people (user accounts) authorized to access the server using different access levels should be created. The default administrator account should be used as the final resort. Operator Group can be defined by different tasks users are assigned as far as modifications of security settings are concerned. To perform this task, open the Organizational Unit and remove unwanted groups, but retain the default Domain Administrators. Create the Operators Group and give Full Control to both Domain Administrators and Operators group. By the time you sit down to secure the File Server, you must already be having security settings that can be used on the network or in a standalone environment. Security setting templates can be created and then be imported into group policy to be implemented across the entire network. The security templates need to be flexible in that when more than one is applied to the same server, there should never be a conflict. Account policies are settings that have to do with Passwords, Account Lockout, and Kerberos Policy. All policies should be applied at the domain level. For a standalone file server, the local accounts are used to access it, therefore security settings of these accounts need to be set up. Increasing the minimum password length – long passwords mean that the hacker longer time to crack local account passwords. Decreasing maximum password age – reducing the aging date of a password means more frequent password changes, therefore, increasing the integrity of local user accounts. Account lockout duration – this setting determines the lockout period a person has to wait to re-enter the password. A ‘0’ setting means the user logged out until password reset and a ’30’ means attackers will have to wait longer to key in more attempts. Under local policies, system administrators need to look at the Audit policies, user rights, and security options. Turing on the Audit Policy setting is an indication that the files, registry, folders, and printers can be tracked. This gives the administrators the freedom to choose which objects to log and the level of monitoring to use. 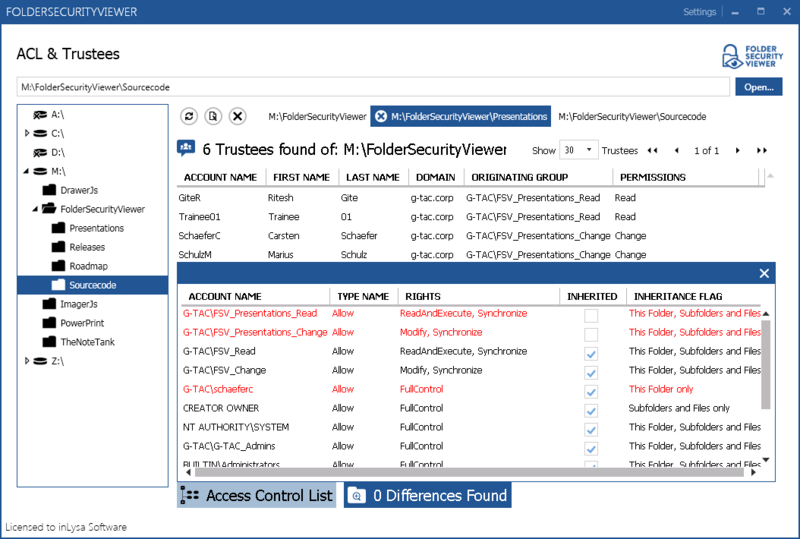 In a high-security environment, knowing who is responsible for what activity is paramount, therefore auditing privileges is required when securing the File Server. When setting user properties on a local machine, rights such as “Act as part of the operating system” should be disabled. Some default settings under this option can be used to tighten the security levels of a file server. Some of these defaults may not work with all Server Operating Systems, therefore testing before implementation is recommended. Services not installed should be disabled and a person responsible for starting, stopping, and disabling them identified. There are two specific services that can be applied in specific scenarios: Distributed File System (DFS) and File Replication Service (NTRFS). The DFS works on local disks, shared across networks, therefore in such a scenario, disabling DFS means that users must know the names of the shared resources and servers on the network. NTRFS controls the automatic maintenance of files across multiple servers and it must be on Active Directory and Domain Controllers. 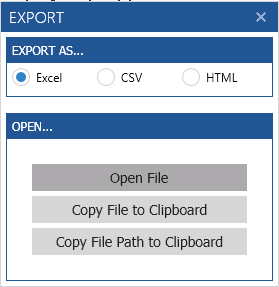 Security templates can be imported to Group Policies and the domain so that they can be shared across multiple workstations and can be refreshed as needed. When dealing with workstations, security policies can be set using the /secedit/ command and the batch files re-written to refresh the settings. Make use of the Local Group Policy to restrict group activities. Local Administrators and any group that was created can be restricted. New users can be added to the restricted groups. Restricting administrators who can change system settings prevents unauthorized access. Setting IPsec rules that block certain or all ports by applying specific filters to allow only communication from specific computers will guarantee File Server security. When left open, File Servers share information through various protocols that would-be attackers will find useful. The correct time is critical for many reasons. Some authentication protocols need the client and server clocks to be synchronized. Synchronizing events between computers on a network will not take place due to time differences. When reading logs, the time stamp is important for auditing purposes. Restrictions can be implemented on individual accounts by limiting the hours, restricting which workstation a particular user an use, prevent account delegation, etc. Settings that cannot be automated in a domain such as Guest user account and Guest group have unique identifiers that make it difficult to have an automated security setting. In such scenarios, setting local policies is necessary. Events with warnings such as ‘Logon Failure’ and an increasing number of similar events should be treated as unauthorized attempts. Setting the Access Control List (ACL) and the System Access Control List (SACL) on FAT volumes is not possible. File Server security depends on its ability to have security settings done as file permissions. Some security settings are not available in security template settings. They can only be set via the Administrative Templates within the Group Policy. Disabling error reporting at this stage is recommended because some error logs contain sensitive information that can be intercepted by hackers. When server security settings need to be altered, previous settings can be used as a reference point. Third-party tools such as Security Configuration Analysis can be used to verify the compliance of the security settings in place. The security settings above are supposed to make the File Server secure. However, when doing so, make sure the settings do not interfere with server’s normal operations. Since every network setup is unique, it is recommended that File Server security setting is set up according to the needs and expectation of the organization. Are your Windows folders secure, too? Or just too convoluted folder permission that Admins are better off doing them from scratch. All above examples are all due to incorrect planning (or the lack of it) before the implementation of NTFS permissions. One may point out that it can also be due incompetency of the person doing the task. I agree that could also happen, but if there is proper planning, documentation, and layout, these problems can be avoided even if you let your junior admin do the task. Before creating the actual folders, you must know what folders are to be created. Whether you prefer digital or physical board, list the shares that will be created for each department or group. Work with the knowledge you already have of your current environment. There will be changes along the way (e.g. new department or new projects) but this would be a good start. 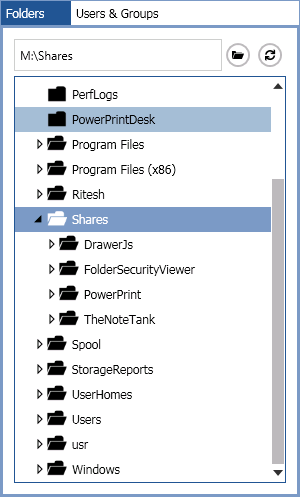 After listing the shares to be created, map out the users or groups that have access to specific folders. You may List down the users or groups and draw a line to connect them to the appropriate shares. How ever you want this done, make sure to have fun doing it! This one is critical so take your time going through the shares and groups and write down the appropriate permission. If you use naming conventions such as R for Read-only or F for Full Control, make sure to be consistent to avoid confusion along the way. A good planning always has good documentation. It’s always good to have something to go back to when you forget. This not only serves as your guide but something you can pass down to your junior staff or even to your boss. With that said, documentation must be clear and concise. Also, changes in the organization are inevitable so whatever method you used to document, make sure it can easily be modified and expanded. Being an Admin can be stressful, but if you have proper planning, implementation, and clear documentation, it smoothens administration and helps you focus on other areas. A more detailed guide on Planning and Managing NTFS Permissions can be found here. Download your free course now!